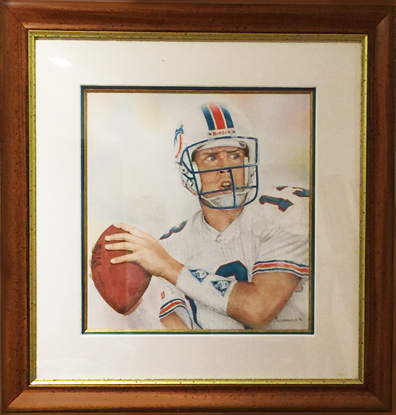 This Original Pastel Portrait of Miami Dolphins Greatest Quarterback Iconic Dan Marino captures the confidence and determination of a true sports legend! Here he is setting up for the perfect pass! You can almost hear the roar of the fans as this football hero readies himself to make the big play on the perfect sunny Florida day. 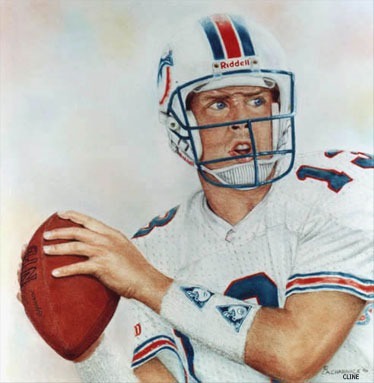 Few football players have risen to the heights of fame and reverence as Dan Marino. Any Miami Dolphins fan would be proud to own this original masterpiece of sports art. This Original from my personal collection, only one lucky art person will own this one-of-a-kind original pastel portrait painting. Bring the excitement in football history into your home or office today! Any questions call or email me.